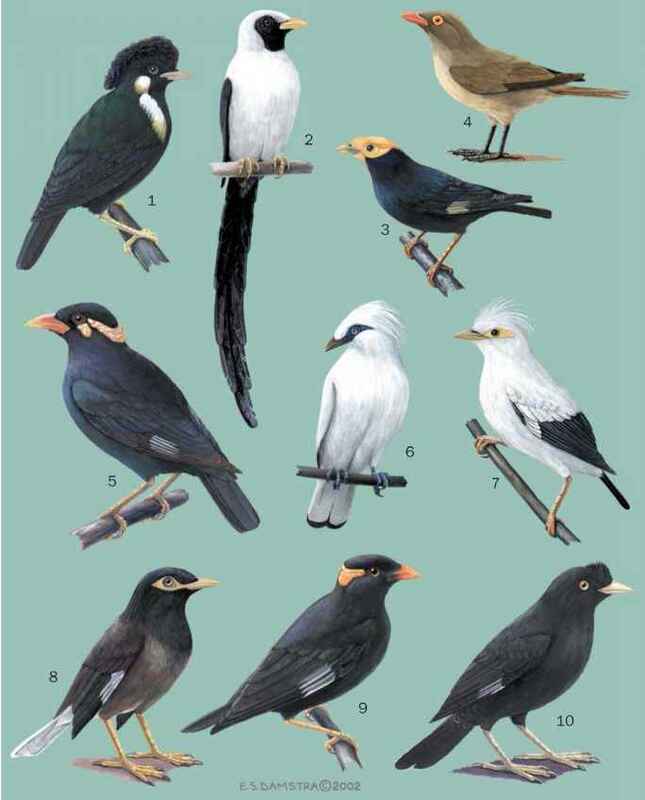 English: Chestnut-bellied whiteface, white-faced titmouse, eastern whiteface, tomtit; French: Gérygone blanchâtre; German: Fahlrucken-Weisstirnchen; Spanish: Ratona Blanca. 4.5 in (11 cm); 0.4 oz (11 g). Gray-brown upperparts and whitish underneath. Forehead is white with black edge extending to eye. Dark tail tipped white. Stubby, finch-like bill. Southern and central Australia, though generally avoiding coastal areas. Open eucalypt and acacia woodland, grassland and farmland with scattered trees. Typically in small to sometimes large groups, often with finches or small insectivores. Actively hops on ground, reminiscent of a sparrow. Song consists of musical, bell-like notes and twittering calls. Sedentary. Mostly forages on the ground for small invertebrates and seeds, but also takes insects from shrubs and bark of trees. Breeds from June to November. Nests are typically in shrubs or small trees but may be placed in hollows or even buildings. Two to five dull white eggs, with sparse brown or red speckles.